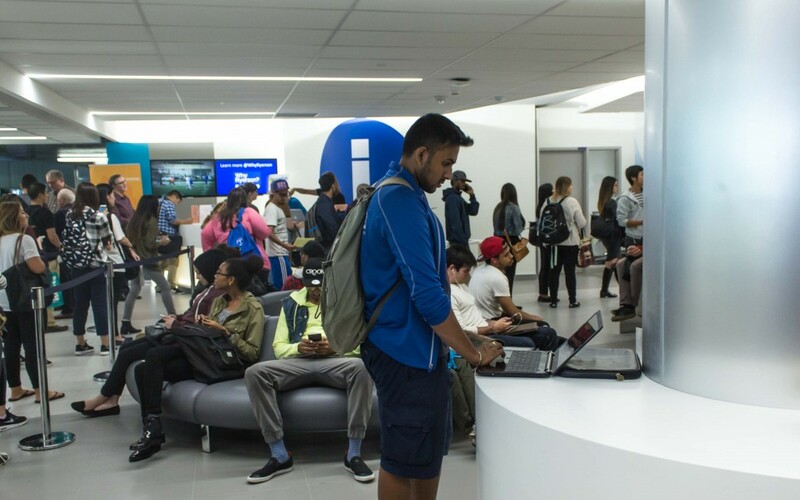 On August 19th, the doors of Podium (POD) 150 (also known as the “Hub”) were reopened for the first time to reveal a freshly renovated space reminiscent of an Apple store. Enter the ServiceHub. Still undergoing finishing touches, the ServiceHub is now the main physical location for all front line services offered through the Registrar’s Office (RO). This means that any questions students have regarding admissions, course enrolment, tuition and financial assistance will now be answered in one centralized location. * No more running around from one office to another before looping back, laden down with forms that you have no idea where to submit. Customer service at Ryerson just got a face-lift, complete with modern seating areas, kiosks, a self-service station, a DMV-esque “take-a-number policy” and tiny tables where you can sit down with a client service representative in the same way that you would if you were opening a joint bank account with your partner. “This is way better than the old way,” a student lounging in the seating area said to me as I passed through the space this morning, and that’s the exact response Charmaine Hack, the university Registrar herself, is hoping for. The space itself is gorgeous, which warrants a decent level of excitement, but not everyone is fully onboard, especially since the consolidation and redirection of the once separate phone lines to the ServiceHub meant more time spent waiting on hold. Charmaine is the first person to say that the ServiceHub has a ways to go before everything is running smoothly, but when I spoke with her recently to discuss the making of the ServiceHub and what its opening means for students, her enthusiasm about the ServiceHub was nothing less than contagious. JM: What prompted the creation of the ServiceHub? Was it inspired by how services are organized at other institutions or were there other driving factors? CH: The idea of creating a one-stop service area for registrarial front-line services had been discussed off and on for over two decades. 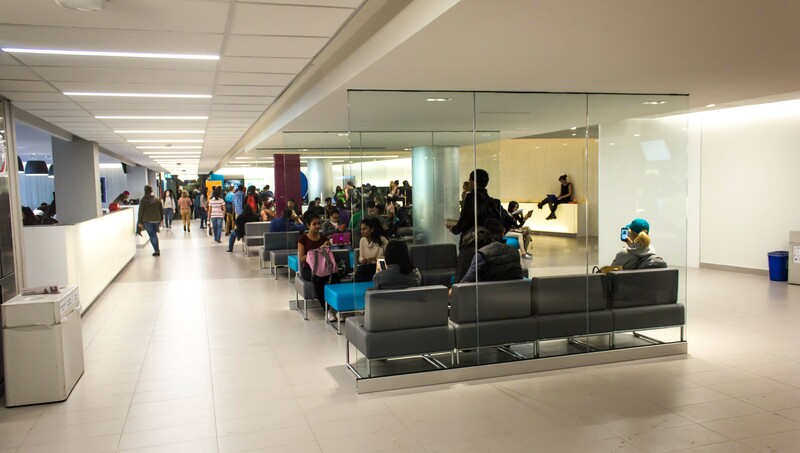 Teams of Ryerson staff had periodically consulted with other universities and colleges that had experimented with the one-stop idea, like McGill, Laurier and Centennial, but without available space to combine our current services, nothing changed. The one-stop initiative gained renewed interest and support in 2008 from Heather Lane-Vetere when she became the Vice-Provost, Students. She started a RO wide review in 2010 and reported her findings on ways to improve in 2011. The same year, a pilot that integrated services related to enrolment, records and student fees (all of which were originally located at different areas) was launched. When the Student Learning Centre opened, the Hub space in the Podium building became available for the ServiceHub and we were given the go-ahead to start envisioning how it would look. Even though the space is located next to the Hub Café, we saw this as an opportunity rather than an obstacle. Having the ServiceHub in this area means that students can move around the space and even grab some soup from the Hub Café while they’re waiting for assistance. Even though the ServiceHub is still undergoing construction, we decided to have a soft opening now instead of in October (when it would be completed) so that students and staff will have more time to get used to the new space. JM: How did you determine that there was a need for this kind of integrated service? CH: We got student input by sending out a survey via email and putting an ad in the Ryersonian. We also looked to Soapbox for student input and did this for six months. 800 students completed the survey and a small student advisory group was formed to provide input on signage, technology, services most used, how to identify staff in the space, and an event we called “Chairfest,” to provide feedback on the furniture. For a long time, staff and program departments had asked for an integrated service that would cut down on the difficulty students were encountering in trying to determine “where to go for what” and “who to talk to” when they needed help or advice with a variety of tasks under the registrar. The reality was that students were often required to visit multiple offices, line-up more than once, and explain their situation to client services representatives at every location they went to. 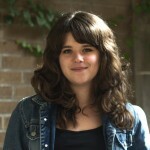 JM: How will the ServiceHub improve student services offered at Ryerson? CH: With the integration of front-line services into one location, students and the faculty and staff that refer them won’t necessarily need to know “who does what” within the Office of the Registrar. The ServiceHub is a ‘one-stop’ shop that puts students in direct contact with our client service team made up of cross-trained ambassadors and subject specialists. Students will no longer be required to go to any location outside of the ServiceHub to get assistance. Students will also have the option to get emailed their queue number so that they don’t have to stand in line while they’re waiting. We’re hoping that in “Phase 2” of the ServiceHub opening, during second semester, students will be able to pre-arrange appointments to meet with someone, as a “let-us-know-when-you’re-coming” kind of thing. We’re also expanding our hours of operation and will be open from 9:00AM to 6:30PM, Monday to Thursday and from 9:00AM until 4:30PM on Fridays. We will also have feedback options to help us know where continuous issues are and what we need to tweak. JM: What issues in particular do you hope to resolve with the ServiceHub? CH: The need to stand in line for long periods of time, to visit multiple locations, and having to explain needs/request to various people on multiple occasions. JM: What are your main goals for the ServiceHub? CH: Our primary goal is to provide comprehensive, excellent service during each interaction. It will take a couple of cycles to understand it and modify it accordingly. As the training continues, students will eventually have to speak to less people over time as staff gain knowledge. JM: Why did you choose the first floor of the Podium building as its location? Is it a area of high traffic or was it more a matter of space available on campus? CH: It was the space made available to us in 2013 and was in the immediate vicinity of our current service locations, and a familiar destination for students; we saw potential for an innovative, unique space that would be less traditional than other ‘one-stop’ locations that we had look at in other institutions. We also decided that re-envisioning the space could energize an existing well trafficked yet under-utilized area by merging seating, lounge and waiting space to serve both ServiceHub and Hub Café clients. With the renovation of the Hub Café and the ease of locating/advertising the Jorgenson Hall entrance, we were confident that this would be a terrific location for the ServiceHub. JM: The RO website says that the front line staff will be cross-trained on basic registrarial operations. What is the difference between a question that can be answered by all staff and one that has to be redirected to another staff member? CH: Client service ambassadors (CSAs) will have wide range of knowledge to assist students with all routine transactions and questions. If the question is particularly specific or the need of the student goes beyond the scope of the client service ambassadors’ role, they will be able to ask for assistance from subject specialists working in the relevant unit. For example, the CSA will be able to answer the full variety of general questions about how, where and when to apply for OSAP but would rely on a colleague with specialized knowledge (and unique permissions within the student administrative system and/or secure Ministry database) to answer a student’s question about why they were granted a specific amount of OSAP funding. JM: Will you eventually expect all staff members to be knowledgeable across different registrarial operations? CH: No. Due to the complexity of work and the range of specialized knowledge, skills and training required there will always be a need for subject matter experts. JM: How long do you expect the wait time to be for in person support? On the phone? Online (though social media and email)? CH: We will be able to determine realistic wait times as we gain statistics and metrics and as the quality of service improves with cross-training. We have also expanded the ask.ryerson page (which was originally for incoming applicants) to the rest of the university. We will also be adding content to the website and making it easier for students to navigate to cut down on the layer of students who can find the answers to their questions online so they won’t have to rely on phoning and emailing as much. Of course, there will always be those students who have unique questions that can’t be answered online, but as we improve the online content to assist those with routine questions, there will be more people available to help them in person. Prior to the opening of the ServiceHub, all general inquiry phone lines were redirected to a single point of contact–the RO Call Centre. As the university’s largest provider of front-line service, this was an important milestone for the RO. Centralized space and consolidation of phone numbers, coupled with harnessing the analytics measured through our triaging software, means we are now better equipped to handle the large volume of phone, email and online inquiries we receive by analyzing peak periods, wait times, etc. JM: For a student visiting in person, will there be any visual indicators that will help them to know who to visit or is the idea that they will be able to go to anyone? CH: Yes. 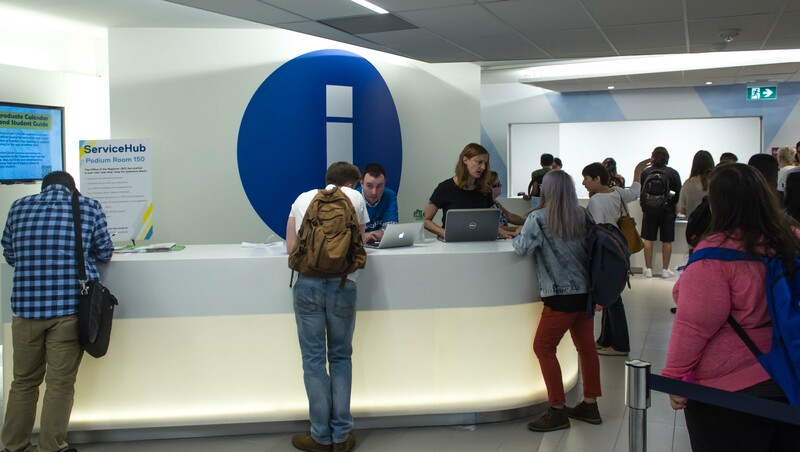 The ServiceHub has a main reception/general inquiry desk area and kiosks that students may use to log their arrival and identify the type of assistance (e.g. admissions) they need. Kiosks are used for queuing and are used to triage students to see who they need to speak to. If that person isn’t there, they will be able to make an appointment for another time. The main space also includes a wall of self-service computers to enable students to process their transactions (e.g. enrol in a class) quickly and independently with an attendant close by if they have any questions or need assistance. This will assist in avoiding queues. JM: The RO website mentions that the ServiceHub will have “scalable features.” What exactly does this mean? CH: It means that the space can be modified to match the volume of people needing assistance. This was a key design principle and refers to our ability to move components of the space around to meet changing service needs. For example, during term start-up we can ‘scale-up’ by adding more of our mobile service desks to accommodate additional and/or specialized staff to help students. There’s a separate call centre downstairs from what’s upstairs so if we need the space, we can have more people on the phones downstairs and less upstairs. It’s also mobile in the sense that we can move stations into faculties. For example, we can have a “one-stop” station in the Ted Rogers School of Management. Now over to you, Ryerson. What do you think about the ServiceHub? Let us know! * More information on the role of the ServiceHub can be found here.